Although it may seem a bit lazy to be honest I knew I wouldn't be able to commit to weekly or monthly updates on time also it would have been a little repetitive as apart from a gradually increasing bump I haven't had many differing symptoms from month to month. 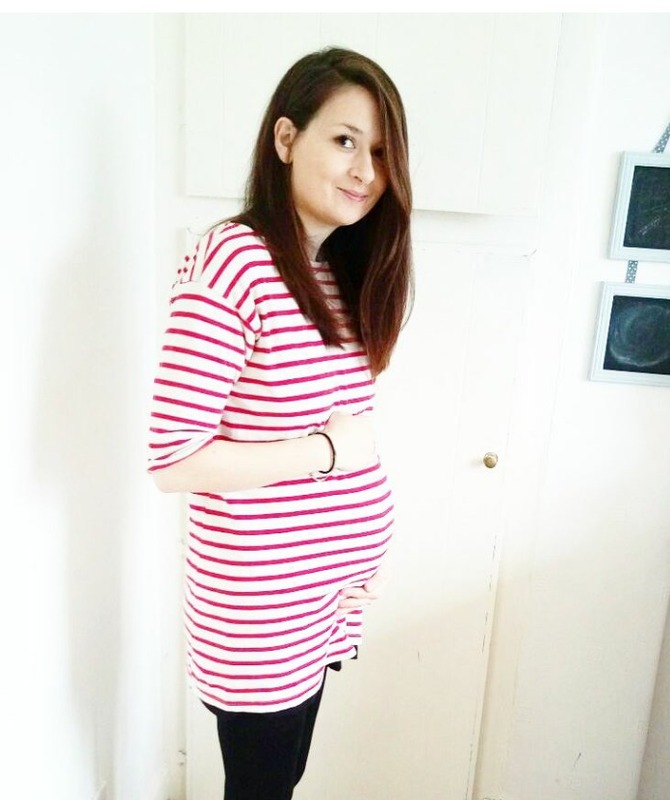 With my first little guy I had quite bad hyperemesis from the start but with this one nausea kicked in about week seven and started to get better around week fifteen although I do still tend to feel queasy often these days. I think having another small person who needs you makes you forget your symptoms during the day which has really been a blessing when I was worried it would make it worse. 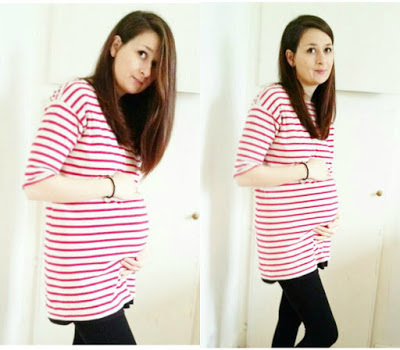 I found it much easier that this has been an Autumn/Winter pregnancy as having a big bump in the warm weather is not much fun and with it being so cold recently it's been a good excuse to stay close to home and have a few lazy days in. Luckily for me the little guy loves being at home building Lego, doing craft activities and watching his favourite films. We tend to be in bed early watching something cosy with a pile of pillows for me to get comfy on! One of the major differences this time around has been the appearance of really bad sciatica and pelvic pain which tends to make everything from walking to sleeping extremely painful when it flares up every few days or if I've over done it (usually cleaning!). Thankfully the hospital physiotherapist is helping with exercises and I have some very attractive bandages and a belt to help improve the weight distribution and I can take paracetamol for the pain. After having a very big boy last time (he was 10 pounds 6 and a half ounces!) we're expecting this guy to be on the bigger side too which is probably a cause for the pain as well. I'm under consultant care again though and she's being very good at keeping eye on us and doing all the important checks. I had my Glucose tolerance check a couple of weeks ago which came back fine and everything else is fine too thankfully. It seems he's desperate to join in the fun whenever we're out. I'm due to see the consultant again next week to be measured and checked over but other than that I'm just taking it easy, getting as much as I can ready before April and although to us he's already part of our family, spending our last few weeks with my other two boys as a three. and I know his Daddy and big brother can't either.